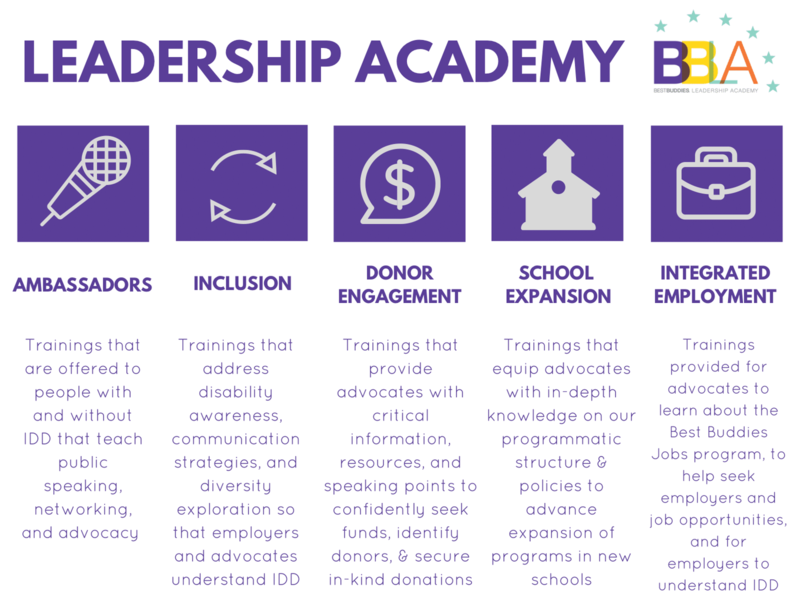 Advanced leadership trainings are an opportunity for leaders in Best Buddies to further enhance their advocacy and leadership skills through a series of trainings. Advanced leadership trainings are a broader and more expansive opportunity for individuals to develop a more holistic personal leadership style and gain the necessary skills to further their personal and professional development. Advanced leadership trainings are available to all Best Buddies participants, with and without IDD. It is highly recommended that these courses follow ambassador trainings.